Join West of England coordinator Ellen Rignell at the Rye Cafe in Frome on Wednesday 27th February for an evening of conversation around seed. 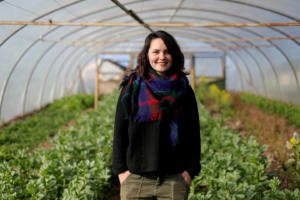 Ellen will speak about the work going on in the south west and across the UK and Ireland to support small-scale seed producers. She’ll be joined by Tim ‘Mac’ Macartney, founder of Embercombe, who will talk about the sacredness of seed around the world, and Fred Groom from Vital Seeds, a small-scale seed producer who you can find out more about in an interview here. Seeds of Resistance is being organised by Land Story in collaboration with The Gaia Foundation.